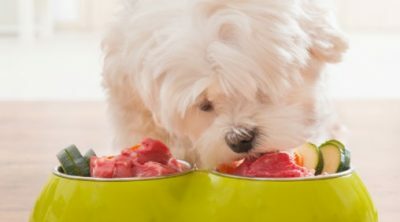 While we aren’t foolish enough to declare one particular recipe to be the absolute best dog/puppy food for German Shepherds, weeks of extensive review have led us to the belief that Natural Balance LID Large Breed Bites Lamb Meal and Brown Rice boasts the perfect combination of price, taste, and nutrition for adult German Shepherds. For younger dogs, we suggest Nutro Wholesome Essentials Puppy. When shopping for food for your German Shepherd, it’s tempting to simply go with whatever formula is on offer at your local supermarket. Doing so, however, is ill-advised. German Shepherds are a unique breed and so require unique food to ensure healthy development and maintenance. Below we’ll be detailing some of the most important things to keep in mind when searching for a quality formula for your four-legged Berliner. Wet dog food is advantageous as it acts as an extra source of moisture. It is also more palatable than dry dog food, which you’ll certainly appreciate if your dog is a fussy eater. I even turn to wet dog food when my dog is under the weather as I find he is more likely to eat it, even with a lack of appetite. 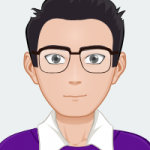 It’s also important to note that wet dog food is significantly more expensive than dry dog food and is far more challenging to store once it has been opened. 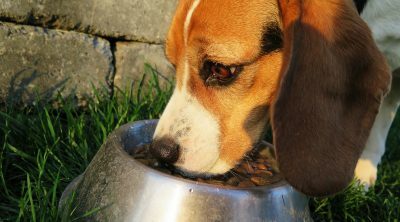 Dry dog food is far less likely to spoil than wet dog food once it has been opened. In fact, several dry formulas can be left out in the open for days without issue, which you’ll certainly appreciate if you have to leave your pooch home alone for an extended period of time. Unlike wet dog food, kibble is available in multiple sizes, so you won’t have to worry about choking in puppies. 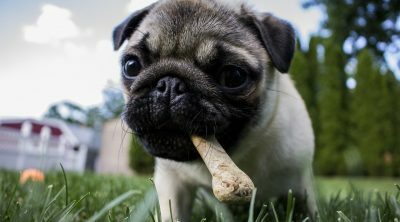 Dry food is often chosen by owners of puppies as it strengthens the jaws and slows the development of plague, reducing the risk of oral complications in adulthood. The great disadvantage of dry dog food is the lack of hydration it provides. An adult German Shepherd should be consuming 1.5 to 2.5 liters of water a day, so those who choose a dry dog food formula should be sure to accompany it with a bowl of water. More information on the battle between wet and dry dog food can be found in the below video. 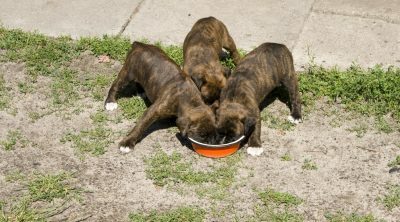 Should you decide to raise your puppy on dry dog food, the formula you purchase should have small kibble so as to eliminate the risk of choking. Older German Shepherds should also be fed smaller kibble as their jaws generally decrease in power as they age. 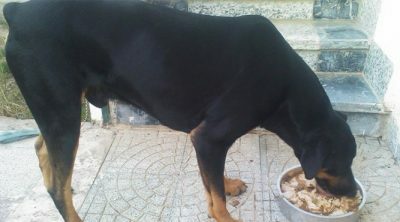 Similarly, German Shepherds are prone to joint pain and hip dysplasia, so aging dogs should be fed a formula that is high in anti-inflammatories, such as omega-3 and vitamin E.
Dog food manufacturers often rely on filler ingredients to give the dog the sensation of being full but provide little nutritional benefits. Large dog breeds are more prone to bloating than their smaller counterparts, which is why those searching for a German Shepherd formula should avoid wheat in large amounts, as it may lead to digestive issues. Rice, another common filler in kibble, may also cause bloating, as well as diarrhoea and constipation. A common ingredient in dry dog food, animal by-product is essentially slaughterhouse waste and can include anything from beaks to feathers. While it should never be ranked among the top ingredients of a dog food formula, a small amount of animal by-product can be trusted to boost a formula’s protein count ever so slightly. 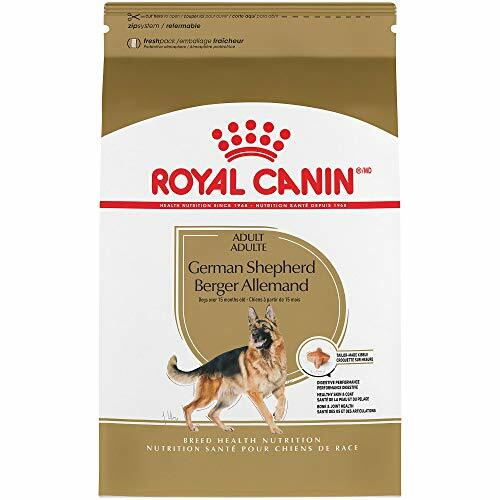 Royal Canin German Shepherd boasts tailor-made kibble and so we often recommend it despite its high price. Designed exclusively for adult German Shepherds, this formula can be easily chewed and digested. It also features d-alpha tocopheryl acetate, which is a reliable source of vitamin E, meaning it will protect your dog from joint issues while adding a healthy shine to their coat. Meanwhile, a high-energy content promises adult German Shepherds all the energy they need to play and explore into old age. It should be pointed out that Royal Canin is liberal with its use of animal by-product. Chicken by-product meal makes up a significant portion of this formula, as does pork meal. Rice and wheat are also present in large amounts. Intended for adult large dog breeds, this formula utilizes a minimalist formula which features no artificial colors or preservatives. With a moisture content of 10%, this formula is particularly suited for German Shepherd owners living in warm portions of the globe. Meanwhile, its protein content of 21% ensures the growth and maintenance of muscle, even as your dog advances in age. 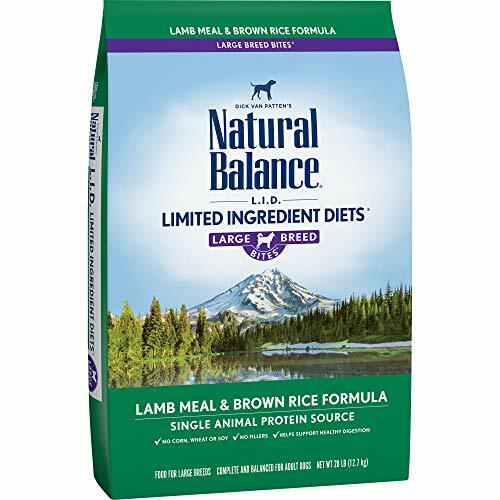 Unlike the previous formula from Royal Canin, the Natural Balance LID Large Breed Bites Lamb Meal and Brown Rice was not designed for German Shepherds specifically. 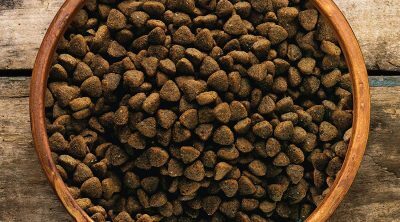 While it is intended for large breeds, its kibble will not be quite as easy for a German Shepherd to chew as that of its predecessor. It should also be pointed out that this formula is a little on the pricey side and is only available in two sizes, the larger of which will set you back upwards of $50. Eukanuba Adult Dog Food, 16 lbs. 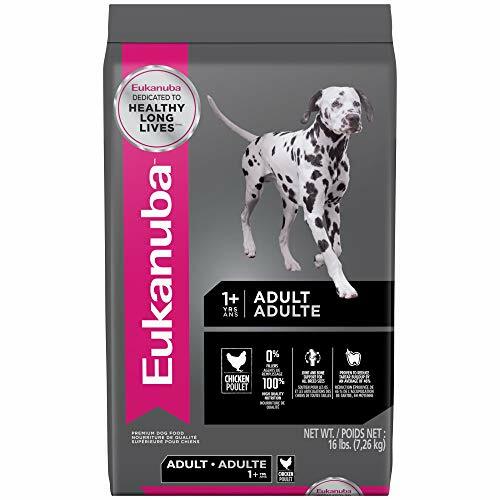 Eukanuba Adult Chicken has a significant advantage over the aforementioned formula from Natural Balance as it is available in multiple sizes. Those who select this formula to feed their German Shepherd will be able to choose from bags of 5 pounds, 16 pounds, and 30 pounds. Eukanuba Adult Chicken includes pieces of real chicken as opposed to relying exclusively on chicken meal as a source of protein. Also included are fish oil and chicken fat, both of which are quality sources of vitamin E and so serve to minimize complications related to joint troubles. One of the most noteworthy features of this formula is its 3D DentaDefense, which reduces the development of tartar by a staggering 80%. Arguably the major drawback of Eukanuba Adult Chicken is the manufacturer’s use of filler ingredients. While the inclusion of real chicken is certainly a pro, it is important to be mindful of the presence of chicken by-product meal, corn meal, rice, and dried beet pulp. Eukanuba did not design this formula exclusively for German Shepherds. In fact, this formula isn’t even intended solely for large dogs, which means it will likely fall down in areas in which a formula design with large breeds in mind would excel. 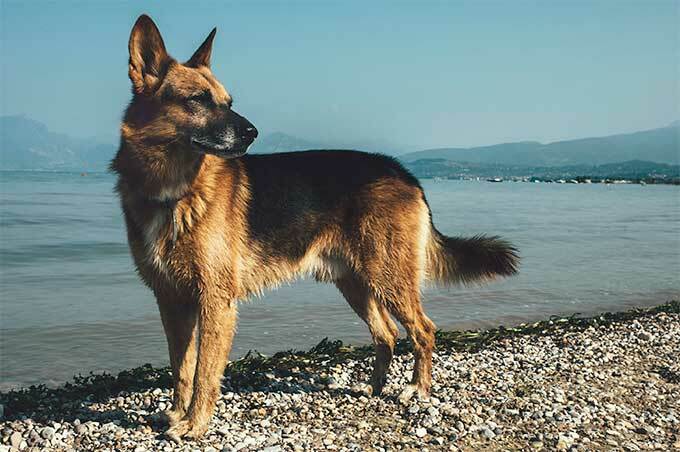 This offering from Iams has a distinct advantage over some of the other formulas to appear on this list as it was designed exclusively for German Shepherds. It comes in four different sizes – 15 pounds, 30 pounds, 38.5 pounds, and 40 pounds – and is comparatively affordable in all. 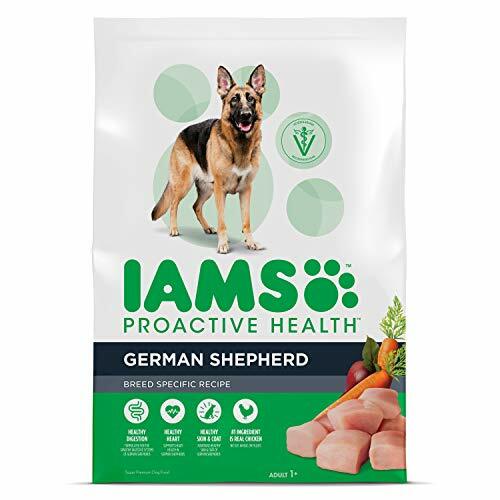 Formulated with German Shepherds in mind, Iams Proactive Health German Shepherd promises to minimize the risk of digestive issues and keep your dog regular. Similarly, this formula reduces the risk of your German Shepherd developing cardiovascular difficulties as he or she ages. Real chicken serves as the primary ingredient of this formula, which works in conjunction with dried egg product to provide a hearty dose of protein. There aren’t a whole lot of flaws with this formula, but it is important to note that a number of Iams customers who have tried this product have reported their German Shepherds refusing to eat it. Even for dry food, Iams Proactive Health German Shepherd is rather unpalatable, so you may have a hard time getting your dog to eat it if they are a fussy eater. 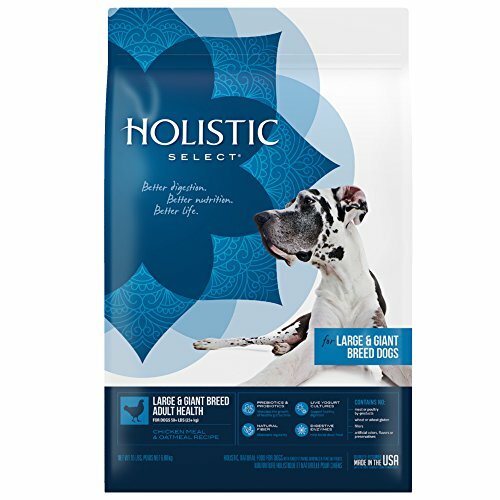 Holistic Select is certainly one of the most unique manufacturers of dog food in the industry, but it has a lot more to offer than just a gimmick, as is proven by its Large and Giant Breed Adult formula. 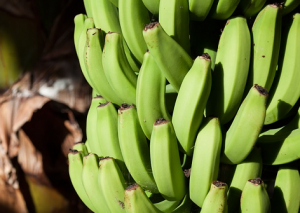 This recipe is loaded with prebiotics and probiotics, which work together to keep your dog regular while simultaneously inhibiting the development of harmful bacteria, such as Salmonella and E. coli. With its potato-free formula, Holistic Select Large and Giant Breed Adult utilizes what the manufacturer describes as “highly digestive carb sources” to provide large dogs with the energy they need throughout the day. Meanwhile, the presence of glucosamine hydrochloride promotes and maintains healthy joints. Holistic Select manufactures this formula in the United States and in doing so uses only natural ingredients, meaning you won’t have to worry about animal by-product, wheat, artificial colors, or artificial flavors. Perhaps the major drawback of Holistic Select Large and Giant Breed Adult is its high price tag. Largely owing to its all-natural formula, Holistic Select asks for upwards of $30 for a single 15-pound bag of Large and Giant Breed Adult, which has turned more than a few German Shepherd owners away from it. Like all puppies, German Shepherd puppies require a different formula than their adult counterparts, which is why we suggest anybody who has just welcomed a juvenile German Shepherd into their home go with the following offering from Nutro over the other recipes examined in this article. Nutro Wholesome Essentials Puppy boasts tailored-made kibble that can be easily chewed by the still-developing jaws of your young German Shepherd. Meanwhile, a high omega-3 count ensures his or her coat comes in thick and shiny and remains so into adulthood. High in protein and calcium, this formula ensures proper development of your puppy’s muscles and bones. Nutro insists that its Wholesome Essentials Puppy formula is manufactured without genetically modified ingredients, but does acknowledge that cross contamination may lead to trace amounts of genetically modified materials being present in the formula. 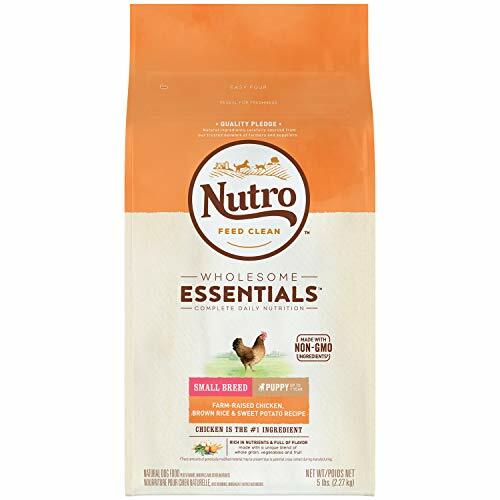 It should also be pointed out that a mere 5-pound bag of Nutro Wholesome Essentials Puppy will set you back more than $20, which makes it more expensive than many adult dog food formulas by quite a significant margin. Nutro Wholesome Essentials Puppy is the only puppy formula to appear in this article, so it shouldn’t come as any surprise that we advise owners of German Shepherd puppies to choose it over the other examined offerings. But even if it were up against other puppy-specific formulas, Nutro Wholesome Essentials Puppy has its high protein count and GMO-free formula to make it stand out. We recommend owners of adult German Shepherds seriously consider Natural Balance LID Large Breed Bites Lamb Meal and Brown Rice as the formula is devoid of all artificial flavorings, colors, and preservatives and features a moisture count in excess of what we can commonly expect from a dry formula. Similarly, this formula boasts a protein content that is higher than average and so can be relied upon to keep your German Shepherd’s joints in pristine condition as its autumn years approach.